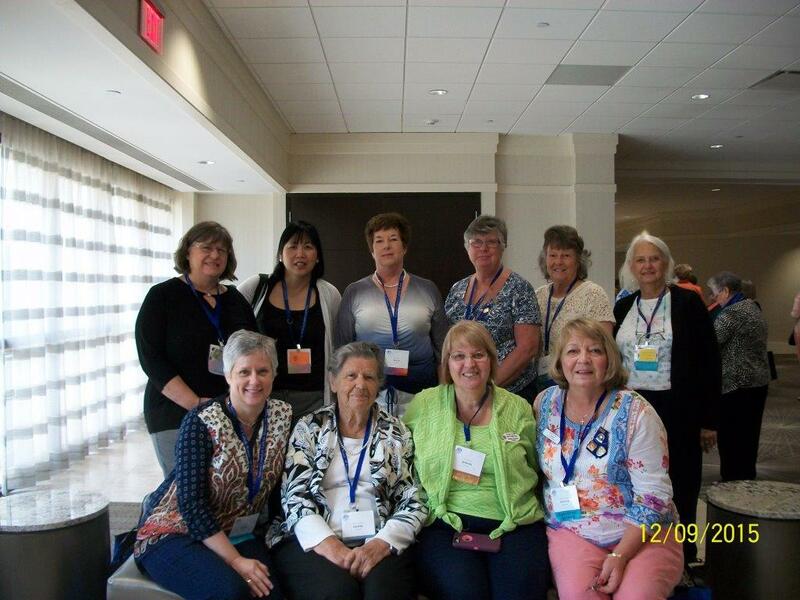 Several members of the Savannah Deanery Council of Catholic Women (SDCCW) attended the annual NCCW Convention in Orlando held September 9 - 12. The theme of this year's convention was "Be the Voice of Catholic Women: Sowers of Hope". The agenda included presentations by speakers who motivated attendees to be Sowers of Hope and evangelize the message of Christ. Val Bush, President, CCW St Joseph's (Albany Deanery); GiGi Lacanilao and Kate Haase, CCW President, Cathedral of St John the Baptist (Savannah Deanery); Gerry Klock, SDCCW Treasurer and member of St. Boniface (Savannah Deanery); Debby Stepian, CCW President and Barbara Fuks, St. Augustine (Albany Deanery); Faye Crawford, President Elect, SDCCW and member of Holy Family (Columbus Deanery); Jeannie Whiddon, Past President of Albany Deanery and member of St. Joseph's (Albany Deanery); Josine Harrell, President, SDCCW and member of St. Augustine (Albany Deanery); and Yvette Carr, immediate Past President of SDCCW and member of St Boniface (Savannah Deanery). Not pictured: Shirley Towle, Atlanta Province Director; Jean Courson, President, Albany Deanery and Alice McDuffie, SDCCW Historia, members of Our Divine Saviour; Susan Igel, SDCCW Council Post Editor and member of St Theresa of Avila, Augusta Deanery, and Olga Dickieson, President, Columbus Deanery and member of Holy Family.